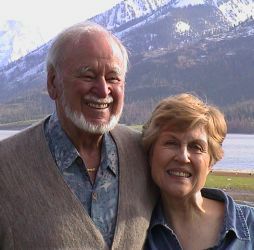 Dr. Stephen M. Marcus has traveled extensively with Isa and Yolanda Lindwall over the last decade, assisting and teaching at Releasing workshops on four continents. He received a PhD in Experimental Psychology from Cambridge University, England, and has lived in England, Holland and the US. While in the Netherlands, he established the One Earth Netherland Foundation, supporting and networking various educational groups and organizations, and worked as a resource person for the Findhorn Community in Scotland. Barbara Kroll has worked with Isa and Yolanda Lindwall since 1986. She has been their international coordinator for 12 years, travelling with them to many countries organizing workshops and teaching Releasing. Barbara spent a year at the Sorn Thawee monastery meditation center in Thailand, and worked and traveled with Harley Miller from the Findhorn Community for the Spirit of Europe Foundation in the early eighties. She has over 9 years of professional experience in bodywork, including Shiatsu and other modalities. From 2006 to 2009, and now again in 2016, Stephen and Barbara worked in the Townships of South Africa to bring the Releasing process to those who had suffered under the former apartheid regimen. You can find more information and YouTube videos of their work here. A photo collage from our time in the township of Khayelitsha, Cape Town, teaching Lindwall Releasing. Accompanied by Elaine Silver’s beautiful rendering of “How Could Anyone Ever Tell You (you are anything less than beautiful)?” Stephen and Barbara worked closely with a group called Youth for Change to bring Releasing to at-risk youth. Here are performances from groups inspired by Youth for Change in the Cape Town townships of Khayelitsha and Philippi on April 18, 2008. Included are their own rendering of John Lennon’s “Imagine”, native dance and the South African National Anthem, “Nkosi Sikeleli Africa”. Choirmaster Sipho Fulani.Stephen and Barbara have also been working in Cradock, a town in the Eastern Cape whose black community leaders were murdered by the apartheid security police in 1985. Releasing came naturally to many of the strong women there and allowed them to let go of decades of pain and disempowerment. Stephen and Barbara returned in 2016 and will be continuing their work to support these women in bringing back the traditional values of Ubuntu – the humanity which arises from our interconnection with one another. Click here for more information.